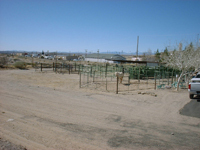 Our 4,500 square foot building currently houses Sierra Veterinary Services, LLC and soon to be our renovated boarding area. 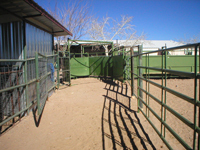 The corrals and large animal handling area are conveniently located in the rear of the building to offer easy trailer access and excellent unloading and loading facilities for all livestock including equine patients. 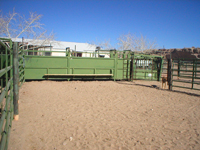 This is our welcome and reception area. Your visit starts and ends right here! 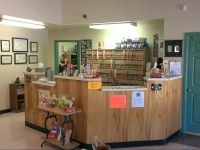 We offer the full line of Hill's Science Diet and Hill's Prescription Diet pet foods. 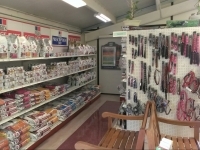 With this full line of products you are assured of the best nutritional options for your pet. 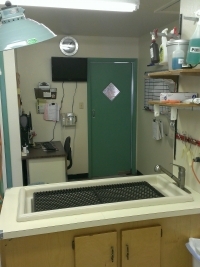 Our two fully disinfected exam rooms are always maintained so that your wait is kept to an absolute minimum. 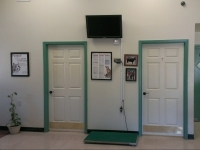 Our exam rooms are private and comfortable and include a lift table so your pet's visit should be as pleasant as possible. This is our wet table. 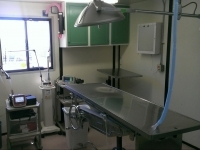 We use this area for surgery preparation, dental procedures, and emergency stabilization. Our surgery suite is fully equipped. We enjoy the benefits that laser surgery provides to our patients and our anesthesia delivery system is maintained to the strictest standards. 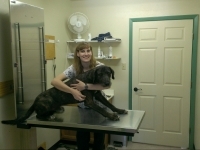 We offer a wide range of soft tissue surgeries to meet your pet's needs. 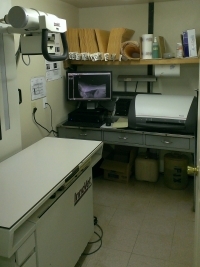 The radiology suite features digital radiology, meaning your pet's radiographs can be read in less than 5 minutes. The system also allows us to send a CD copy of your pet’s radiograph home with you. We can also send radiographs to specialists for second opinions. Our laboratory is equipped with IDEXX Laser Cyte and IDEXX Catalyst DX equipment so that we can perform most diagnostic tests in the clinic and provide you with results in about 20 minutes. 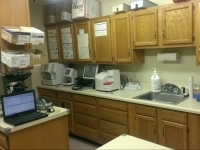 We also perform a microscopic analysis of your pet's blood to help aid the diagnostic process. We also offer a wide range of health screening tests including testing for heartworms, feline leukemia, feline immunodeficiency virus, tick related diseases, and thyroid function.